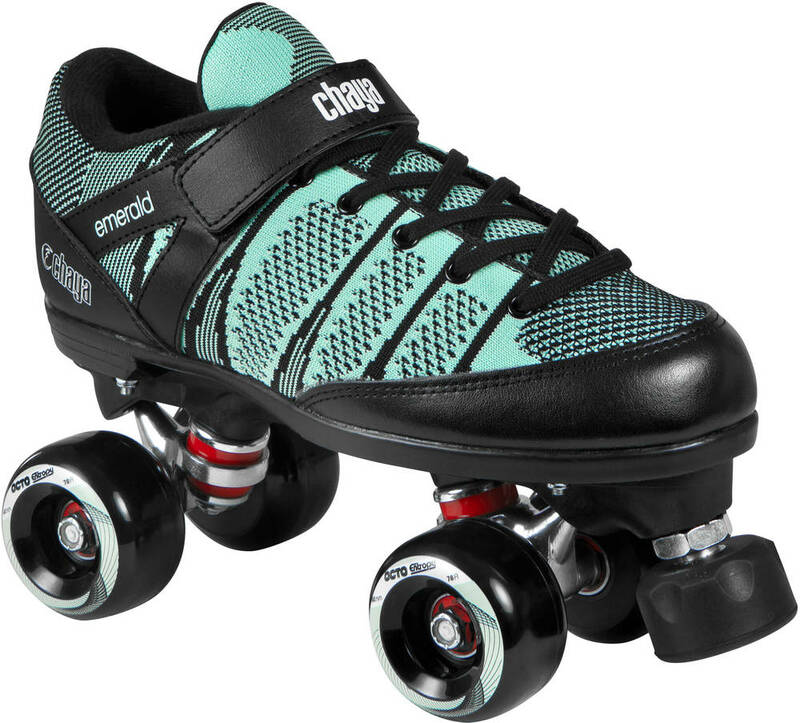 These Chaya skates are great for beginners looking to start doing roller derby and skaters looking for a well ventilated low-cut quad skate. It offers a superb platform without breaking the bank. And the cool thing is that if you decide that Roller Derby is for you you can always upgrade the plate, wheels and other parts for a more personalized style and better parts. The boot is very soft with even softer padding which ensures a comfortable fit. It is made from a soft composite power-knit material that makes it cool to use on warm days. It is low cut for optimum maneuverability. The Shari 3.0 plate on these Ruby skates bring a mix of nylon and fiberglass that are both highly resistant to wear, durable and lightweight. With the possibility to mount it to most Chaya boots with the Dual Center Mounting which also lets you angle the boot to your specific riding style atop the plate. The Power toe system gives you more power, speed and control and keeps a slight pre-tension in your muscles which lets you react quicker. The Emerald does not utilize the DCM mounting system in this setup. It is mounted with an old school 4 bolt setup. The trucks are made from aluminum and have an angle of 20º. The Octo Paseo wheels on the Ruby Soft have a 78A durometer and a shape that is aimed at providing beginners with an easy-to-skate wheel that is usable on many different surface types. 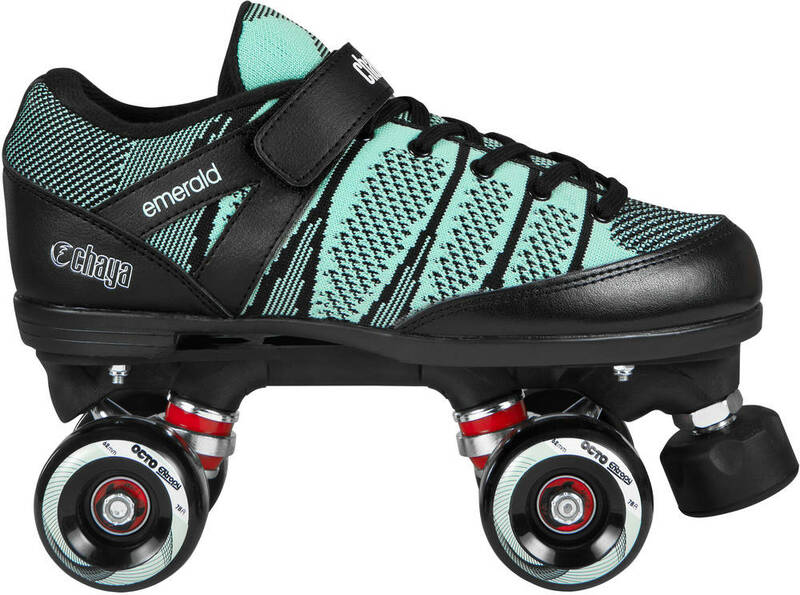 Notice that if you intend to use these skates for indoor derby only you might want to get harder wheels which will be better suited for this purpose. The Cherry Toe stopper gives you added control and maneuverability. The semi soft Jelly Interlock bushings balances comfort and control. 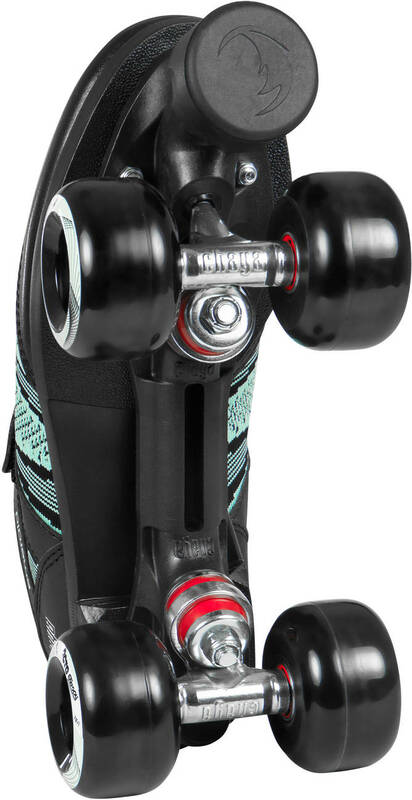 The Wicked ABEC7 bearings provide effortless roll speed.